Tower tech remains one of the best industrial cooling towers manufacturers. Heat can be removed from multiple sources such as heated process material or machinery with industrial cooling tower. 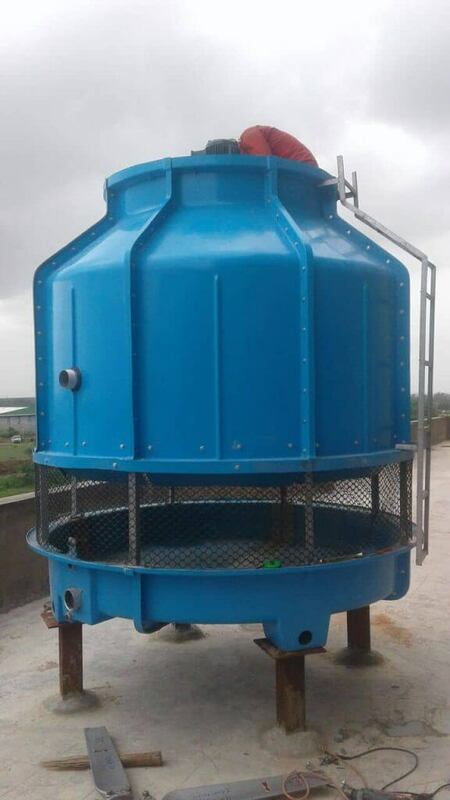 the major of use of this cooling tower is to eliminate the heat absorbed in the flowing cooling water systems in petro chemical plants, food process plants, power plants, natural gas plants, refineries and in for cooling liquid in crystallization and in condensers of distillations columns. 71,600 cubic meters is the flowing rate of the cooling water in a 700 mw coal-fired power plant. 3,600 cubic meters of make-up water is required by the flowing water. If the industry had no industrial water cooling towers and use once through cooling water, 100,000 cubic meters an hour cooling rate is required. This much amount of water has to be returned continuously to the lake, ocean or river, from which it was acquired and refurnished to the plant. The temperature of the receiving river or lake may be increased to an unsatisfactory level for the local ecosystem if large amount of hot water is eliminated. The raised water temperature will destroy the aquatic organisms and fish. The industrial cooling tower is used to evaporate the heat into the ambiance rather than the dispersal of wind and air spreads the heat over a larger area than hot water can supply heat in a water body. Once-through ocean water can be used by some nuclear power plants and coal-fired power plants situated in the coastal areas. In order to avoid environmental issues, the offshore discharge water outlet demands very careful design. Petroleum refineries contain large cooling tower systems. The refineries process 40,000 metric tonnes of crude oil per day, which circulates about 80,000 cubic metres of water an hour via the cooling tower system. The world’s tallest industrial cooling tower is 202 meters used in kalisindh thermal power plant in jhalawar, rajasthan, india. 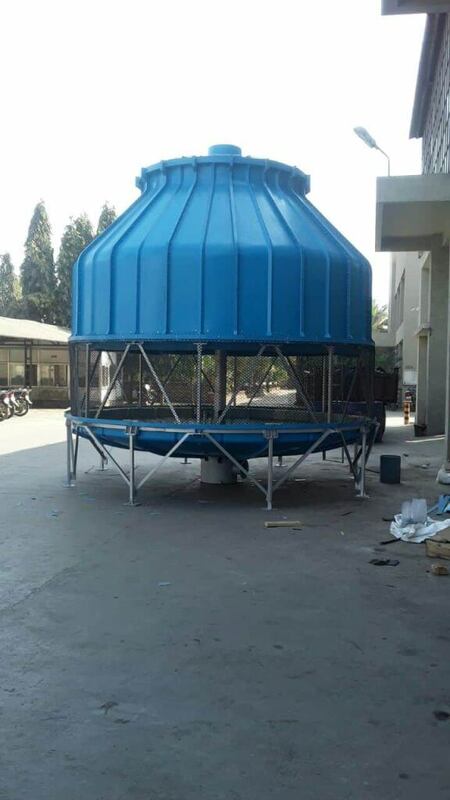 Tower Tech is one of the leading industrial cooling tower manufacturers in india.